Is it just bad luck that your retirement investments are currently worth much less than what you had been told to expect? Something nobody could have predicted? Or were there fundamental problems all along, that were ignored by many experts? In this article we will take an unconventional perspective on the conventional financial planning model. We will explore why the advice you were getting was fatally flawed, and why what was bad advice in the past is still bad advice today. And once we understand these flaws, then we can start to do what really matters, which is taking effective action to protect ourselves. Let’s start by popping open the hood, and taking a look at how the retirement magic money machine really works. Let me suggest that the power source for traditional long term financial planning isn't really stocks or bonds but a mathematical principle known as exponential compounding. As in 2 becoming 4 becoming 8 becoming 16 becoming 32. Now let's take a quick look at some simple financial compounding of the sort that lies at the heart of almost all long-term retirement investment planning. Someone saves $377 per month, they save that every month for 30 years, and we assume they can earn an average return of 8%, which would be a relatively common assumption. Feed the numbers into our money machine, and it says those savings will support a retiree for 17 years with an annual income of $56,000. Now spending $56,000 a year sounds pretty good when we’re only saving $377 a month and in fact, with this common, very simple example of financial planning we actually only save $136,000 but we get to spend $956,000. So we save a little bit over $100,000, we get to spend almost $1 million, and the difference between those two, about $820,000 in our very simple example, consists entirely of assumed earnings and more importantly assumed exponential compounding of those earnings. In other words, the importance of our assumptions dwarfs the importance of our actual savings (we’ll get back to that). In this graph the yellow bars represent what we save, and the red bars represent the 8% return that we assume we will earn. In the very early years the annual savings are much greater than annual earnings. But with the passage of time and steadily saving money, our earnings begin to grow rapidly and by year 9 earnings are matching our savings. The compounding is picking up speed and by year 15 assumed annual earnings on our investments are about double what our savings are. Then that assumed magical exponential compounding really kicks into gear and by year's 20, 25 and 30 the amount we’re contributing by saving is becoming small and then almost inconsequential within the financial planning model, compared to the assumed earnings and earnings on those earnings. When we put all that together we get something magic, a magic money machine, that many tens of millions of people are relying upon for the security of their retirement. The graphs below are a pictorial representation of how the magic money machine works so incredibly well (in theory). We save the thin yellow line with discipline, deferring gratification every month for 30 years. We are rewarded with our money working for us instead of our working for our money, and a vast amount of money coming to us through the exponential compounding of our savings as shown in red. It is the sheer size of the red assumed earnings that sets up the pleasant blue part of the graph, the spending of our portfolio during retirement, in amounts far greater than what we originally saved. This is clearly some fantastic stuff! And it is easy to see why so many people have become excited by this magic money machine once they became aware how it worked. 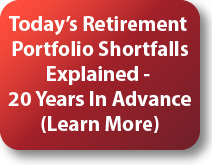 Indeed what part of retirement finance depends on this exponential compounding? Almost all corporate pensions, state and local government pensions, and most of the conventional financial planning that goes into developing investment strategies for IRAs and Keoghs, are all effectively based upon variations of this magic money machine. 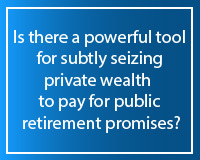 Put in other words, the financial security of everyone who is expecting income from a pension or retirement investments. And given the crucial, overwhelming importance of the real live delivery of this magic money machine, a somewhat awkward question naturally comes to mind, or at least it did for me a long time ago, and that is: just how reliable is our magic money machine? 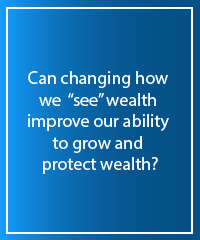 Is it really true that we can all compound our wealth together without limits? Can we rest assured that the money we are counting on for retirement will be there at all? Maybe we should consider a very simple question: where does the money come from for all of us to cash out our expected compounded wealth? 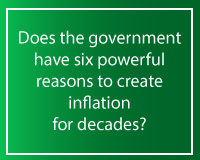 From an economics perspective the answer is pretty fundamental, our ownership interests in a growing economy. Okay, that should be something tangible that we can reach out and grab hold of. 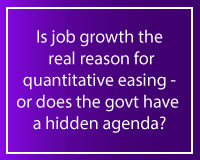 Another simple question: what is the real economic growth rate? Well, in the United States over the last several decades, real economic growth has averaged a little bit more than 2% per year on a per capita and after inflation basis. Let me repeat, real growth is after inflation. OK, here’s our magic money machine with 8% assumed financial compounding. And this is our magic money machine with 2% assumed financial compounding, the real rate of economic growth. Look how the red investment earnings have plummeted, and with them, how the blue area of retirement income has shrunk drastically. When we look at the creation of real wealth in this country, look how assumed earnings in the red zone now never become larger than the yellow of actual savings, and how relying on the creation of real wealth instead of hypothetical compounding of paper wealth, drastically shrinks the blue bar of retirement prosperity for us all. 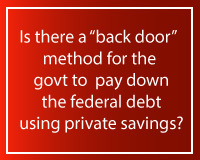 Now, let’s go back to our example for an average saver. 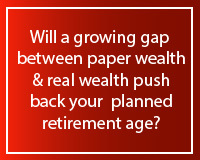 With 8% assumed earnings plugged into a retirement financial planning model, we saved $136,000, we earn $820,000 through assumed compounding of our paper wealth, and we have $956,000 to spend in retirement. Drop the financial compounding rate for the nation as a whole, to the real after-inflation and per capita economic growth rate, about 2%, savings are identical at $136,000, our earnings drop by 90% to $82,000, and the amount we have to spend in retirement drops by 77% to $218,000. This is sobering stuff. Because this is really about people and not numbers. About tens of millions of good, hard-working people who got financially educated, who did the right things, deferred gratification, responsibly saved for decades, and just as their objective is getting in sight – the floor is dropping out from underneath them. So, what do we do? Is there anything we can do as individuals? Let me share with you something that I have come to passionately believe in my many years of working on solutions for these issues. That simple truth is that if you're a long-term investor, and you seek a different financial and economic fate than 78 million Baby Boomers approaching retirement age, then the only way to do so is to fundamentally get out of step with the Boomer generation. You can't do the same thing everyone else is doing. 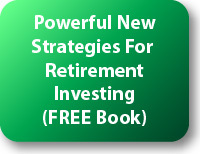 You need entirely different strategies than the failed strategies that have been devastating all of our savings. 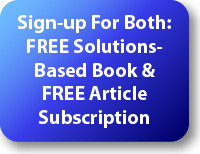 This website contains the ideas and opinions of the author. It is a conceptual exploration of financial and general economic principles. As with any financial discussion of the future, there cannot be any absolute certainty. What this article does not contain is specific investment, legal, tax or any other form of professional advice. If specific advice is needed, it should be sought from an appropriate professional. Any liability, responsibility or warranty for the results of the application of principles contained in the article, website, readings, videos, DVDs, books and related materials, either directly or indirectly, are expressly disclaimed by the author.